Do you want natural pain relief? Look around you and you’ll be surprised at the wealth of resources surrounding us that can provide pain relief the natural way. Check out our top recommendations below. Curcumin is the most active and powerful substance in turmeric. Curcumin, which has powerful antioxidant properties, can reduce inflammation and neutralize free radicals on its own. It also helps stimulate the body's own production of antioxidant enzymes. Dosage: 45 ml of Happy Turmeric per day for inflammation. 10-15 ml per day as a maintenance dose. Arnica is a well-known natural painkiller (often used by athletes) and an excellent homeopathic remedy. Used topically or taken internally, arnica is great with bruising, acute injury, or even post-surgery. It is derived from a European flower and has excellent anti-inflammatory properties. Dosage: For topical use, apply as a cream or gel a few times a day. (Do not use on open wounds.) As a homeopathic remedy, look for a pure arnica – 30X is good a few times a day ( 30 minutes apart from any food intake). This herb is sourced from the frankincense tree. Its resin is used to alter chemical reactions that cause pain and inflammation. Some research shows that boswellic acid can prevent the formation of leukotrienes in the body. Leukotrienes are molecules that have been identified as a cause of inflammation. Dosage: 300-500 milligrams, 1-2 per day. The leaves from the Birch tree act much like cortisone, a prescription drug used to treat endocrine disorders, arthritis, lupus, skin disease, autoimmune disorders, and more. A main chemical compound found in Birch leaves is methyl salicylate, which is similar to salicylic acid used in aspirin. It is antispasmodic, analgesic, astringent, antifungal, diuretic, and detoxifying. It also reduces oxidative damage to the skin (stopping wrinkles), enhances circulation, and promotes enzymatic secretions in the body. Dosage: Drink as a tea – ideally a few cups a day. This ominous-sounding herb is actually great for treating numerous health conditions – among them are liver problems and reflux. It also has anti-inflammatory effects and can reduce pain from arthritis, headaches, and cramping. Dosage: Take an extract that provides 50 to 100 milligrams of DC daily for as long as your pain lasts. The active ingredient in white willow is salicin, which the body converts into salicylic acid. WWB lowers the body’s levels of prostaglandins, which are hormone compounds that can cause aches, pain, and inflammation. It provides great relief from menstrual cramps, muscle pains, arthritis, or post-surgery as it promotes blood flow and reduces swelling. Dosage: 240 milligrams per day. Bone broths contain minerals in forms that your body can easily absorb: calcium, magnesium, phosphorus, silicon, sulfur, and others. They also contain chondroitin sulfate and glucosamine, compounds found in some supplements that help reduce inflammation, arthritis and joint pain. ACV is great for heartburn, indigestion, and bloating. It also helps with the secretion of natural digestive enzymes and makes your stomach acids more alkaline. Dosage: Take 2-3 tablespoons daily before meals. Clinical experience, as well as research in nerve pain conditions, has shown that magnesium can be an effective treatment for pain. Studies have proven that magnesium decreases nerve pain. Magnesium citrate, magnesium oxide, and magnesium chelate are all good forms to use. You can use magnesium as a spray, cream, oil or as an oral supplement. Dosage: Up to 1000 mg per day. Specifically high omega-3 fish oil works by blocking the inflammatory responses in the body. The omega-3 also helps to boost circulation which helps to reduce inflammation. Acupuncture is becoming more popular for use in the day-to-day management of pain. It originated in China over 3000 years ago and is practised worldwide. Fine needles are inserted into body locations known as acupoints. Acupuncturists place tiny, thin needles into your skin, particularly on ‘meridian maps of the body’. The location of the insertion is related to the source of the pain. Based on the ‘qi’, a needle may actually be inserted far from the part of the body experiencing pain. It’s best to avoid, sugar, gluten, dairy, and red meat when managing pain. Also increase your intake of green, leafy and brassica veggies (kale, cabbage, broccoli. radish, brussels sprouts are all excellent choices). Add healthy vegetarian fats, flax seeds, hemp seeds, olives (and oil). Nuts, seeds, and coconut products are also great fats. Increase intake of fresh coriander, parsley, and basil which are all full of detoxing properties. Add fresh ginger and turmeric which have good anti-inflammatory properties, as well as fermented foods that are full of natural probiotics. 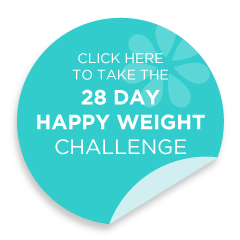 Our 8-week Happy Hormones program is an easy diet plan to follow and continue for the long-term. Epson salts are a great source of magnesium which helps provide external muscular relaxation. Add a few cups to your bath and include essential oils for extra relaxation and added benefits. There are many to choose from: lavender, camphor (in topical heat balms), chamomile and more. You can often find beautiful blends that can be used topically or in diffusers. Start with a few minutes and gradually lengthen to half an hour. You will find yourself refreshed and reinvigorated, with less pain overall. Lowering stress can also decrease inflammation. Matilda has some wonderful yoga sequences on our site. Laugh more often. Studies have shown that laughter actually increases pain tolerance. Surround yourself with people who make you happy. Drink lots of fluids to promote the transport of nutrients and increase their mobility throughout your body. Stay well hydrated at all times for optimum pain relief.